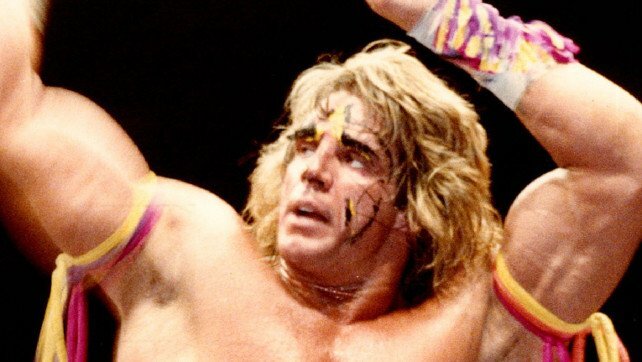 What was it that made The Ultimate Warrior so special? It’s been argued that there were talents on the WWE roster with more ability than him in the ring. While it’s true, the reality is that what he may have lacked in the ring, he made up for and more with his sheer charisma. At the time, the three top stars of the company were Hulk Hogan, The Ultimate Warrior and “Macho Man” Randy Savage. He was a larger-than-life character who fans resonated with, mainly because of his sheer energy and strength. People often underestimate the importance of presence in wrestling, but that was exactly what Warrior had in plenty – Presence. The crowd fed off his energy and vice versa. Even if his matches may not have been five-star quality, it was the story and the character that people were invested in, and the crowd reactions during his matches speak for themselves. He’s an icon in the professional wrestling business, and we take a look at some of his greatest moments ever. The Ultimate Warrior’s feud with Rick Rude had begun in early 1989 in a standoff at the Royal Rumble. That would lead to a feud for the Intercontinental title at WrestleMania V, where Rude defeated Warrior for the title thanks to some assistance from Bobby Heenan. After a house-show circuit feud with Andre The Giant, Warrior had begun to rise the ranks again, and set his sights on Rick Rude for retribution. It was in the summer of 1989 that Warrior would finally get his hands on Rude again. Rude made the fatal mistake of allowing himself to get distracted by “Rowdy” Roddy Piper. This would lead to Warrior finishing Rude, getting retribution and winning back the Intercontinental Championship.